Product prices and availability are accurate as of 2019-02-26 00:05:04 UTC and are subject to change. Any price and availability information displayed on http://www.amazon.com/ at the time of purchase will apply to the purchase of this product. Spruce up your table or counter with adorable camper themed kitchen accessories! 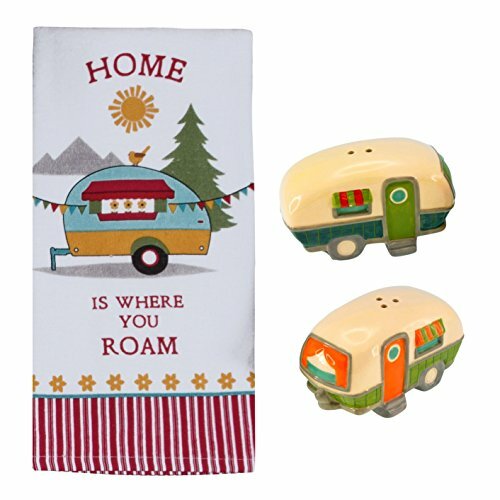 This casual camping and travel inspired set is both attractive and functional, with a highly absorbent terry cloth towel and two full sized salt and pepper shakers. Whether it's a weekend getaway, a wandering journey, or your permanent rustic residence, these cute decor accessories are sure to make your living space look and feel like home! 3 PIECE SET - Includes 1 terry towel by Kay Dee and 1 salt/pepper shaker pair by Beachcombers ALL-PURPOSE TOWEL - Generous 16 x 26 inch cloth towel is perfect for drying hands or dishes, cleaning, baking, and more. 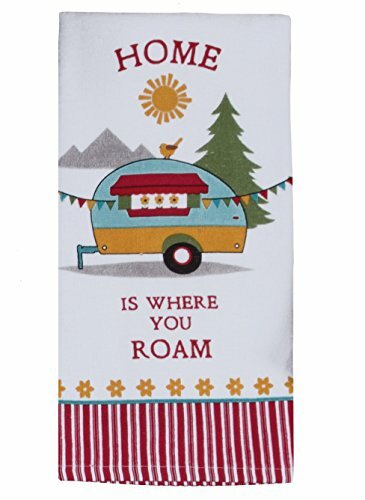 It's made from absorbent and quick-drying 100% cotton terry cloth that just works better than most synthetic materials FUNCTIONAL SHAKERS - In addition to their attractive detail, the matching salt and pepper shakers are a practical size for use, measuring 3.25 x 2 x 2 inches each COLLECTIBLE DECOR - Miniature camper shakers and "Home is Where You Roam" printed towel are perfect for displaying in your kitchen, trailer, camper, or RV! 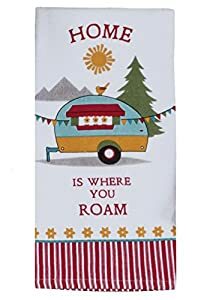 A loop on the towel allows for easy hanging GIFTABLE - Makes a unique and thoughtful gift for anyone with a passion for camping and traveling!